Delta is making a serious effort attacking the Seattle market, with expanded flights to places like Los Angeles, London, and Shanghai. 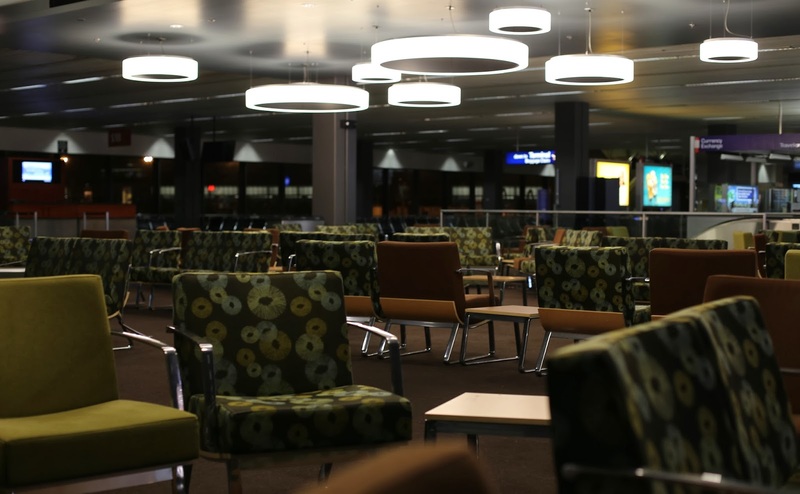 They've also improved the terminal area, with this stylish seating area in the south terminal. United seems to be happy to be giving up in Seattle (as an example, flights to Los Angeles are now exclusively regional jets, and the Tokyo flight just ended). The only other significant competitor is Alaska.